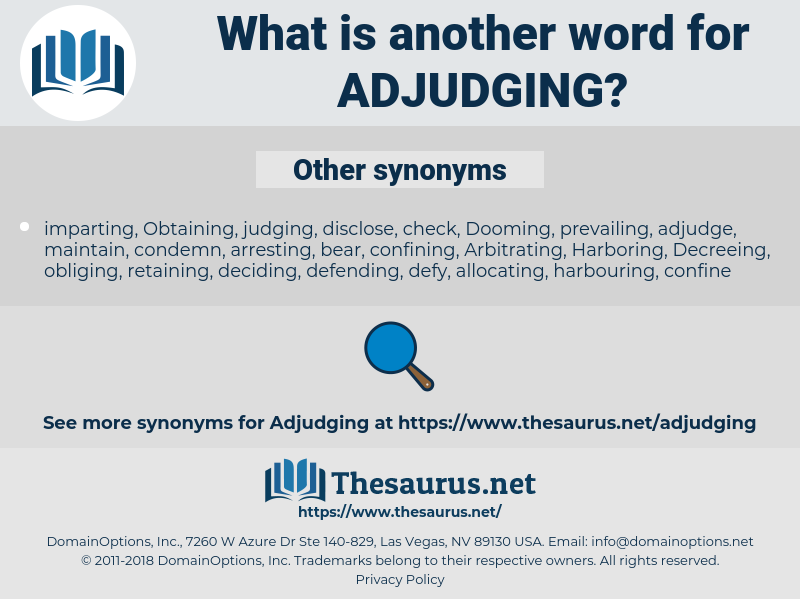 What is another word for Adjudging? 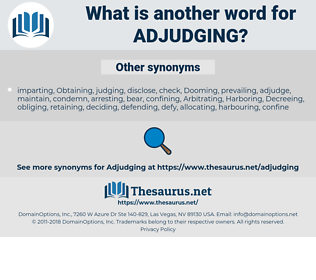 It remains to consider its office of adjudging statutes which come in conflict with their meaning, as thus determined, to be void. The power given to the Council to formulate an armistice would be the power exercised if hostilities broke out rather than the power of adjudging the aggressor; unless the aggression was openly admitted, which would mean that one of the parties to the Protocol really defied the others; and, in that case, of course, it would defy the terms of an armistice as well as any other terms.